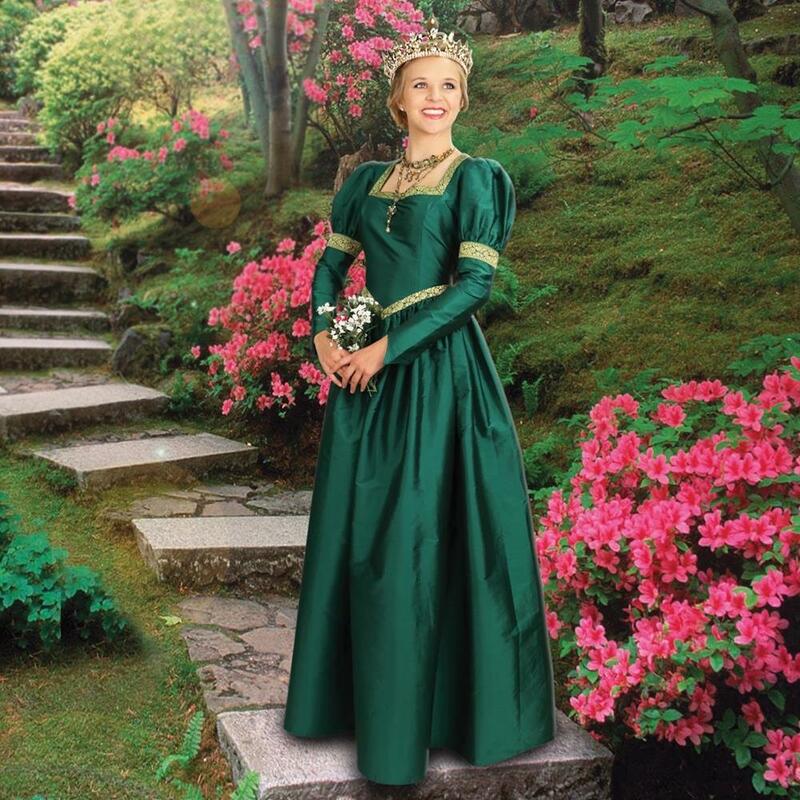 The loveliest women at court this season are wearing the latest style from England, the Windsor Gown. 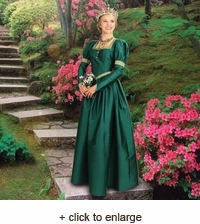 This stunning one-piece dress offers that courtly look at an affordable price. 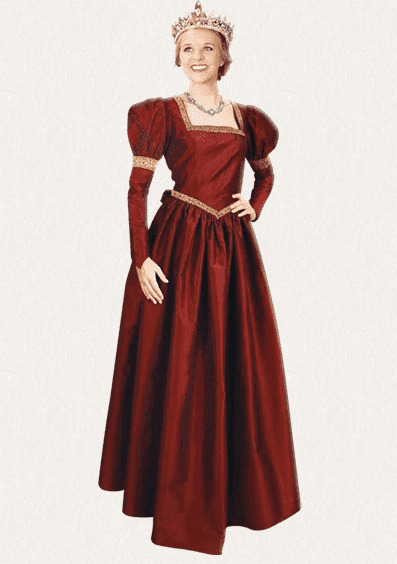 Tailored from a rich taffeta, this dress has a full, gathered skirt, tight period sleeves with matching wrist buttons and ballooned shoulders. 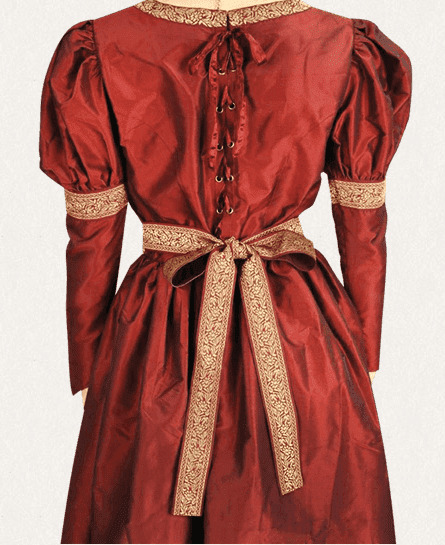 Antique gold trim accents the dress at the collar, waist and biceps, while the back laces up with a full modesty panel.